The Ladies Dress Hooks we bring forth are used by clients everywhere. Our range of Ladies Dress Hooks is easy to use and has an excellent finish. They have smooth edges. 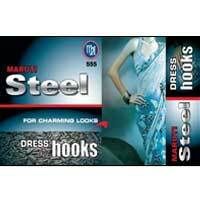 The Ladies Dress Hooks are made of high quality steel wire and of stainless steel and brass also. The Ladies Dress Hooks are safe to use on any type of fabric. Our high quality dress hooks are widely used in bag fitting and garment purposes. 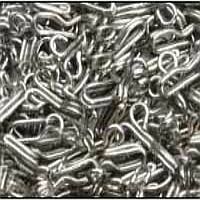 These hooks are used in manufacturing of Ladies Garments. The Dress Hooks we offer are known for their durability and good quality. 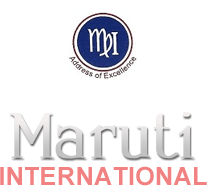 We provide these Products with our Brand name â��Steelâ��.